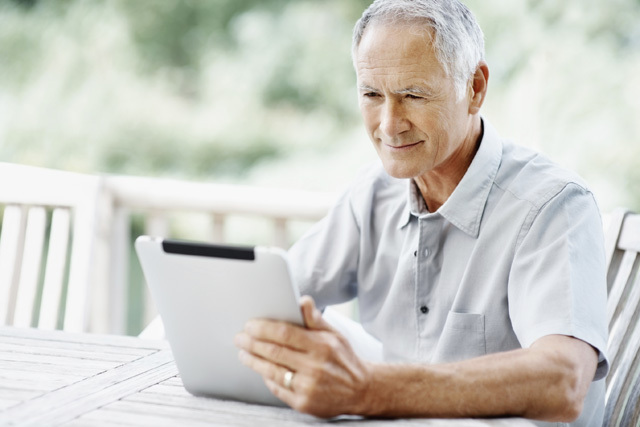 As we age, eye exams become even more important. Vision problems may develop with no physical symptoms until they’re quite advanced. When you see your optometrist, make sure you talk about your current concerns, health issues and your family history. The more your eye care professional knows, the better protected you’ll be against potentially debilitating vision loss. Typically, your eye doctor will review your personal and family health history for eye hereditary problems of eye disease, diabetes, high blood pressure or poor vision. Vision - The doctor can check for shortsightedness (myopia), longsightedness (hyperopia), astigmatism and presbyopia. While you look at an eye chart, the doctor will measure your vision precisely, and, if necessary, determine a prescription for corrective lenses. Your eye care professional will examine the back of your eye using special instruments to detect and monitor conditions affecting the macula. You may also self-monitor between professional visits by looking at an Amsler grid. This is a pattern that resembles a checkerboard with a dot in the centre. While staring at the dot, you may notice that the straight lines in the pattern appear wavy. Or you may notice that some of the lines are missing. Print and take the quick vision test using the Amsler grid(72.3 KB, PDF). 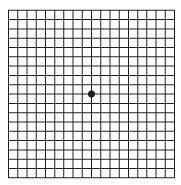 By looking at an Amsler grid regularly you can monitor any sudden changes in your vision. If you do notice any changes, contact your eye doctor right away. 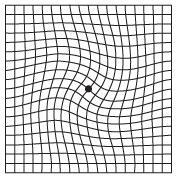 Hold the test grid directly in front of you, about 30 cm from your face, and look at the dot in the centre of the grid, not at the lines. Remember, this test would not replace your regularly scheduled eye examinations.